HOTELS ON ST CROIX US VIRGIN ISLANDS Beachfront? Waterfront? There are some beautiful beach hotels around St. Croix and there are also some great hotels on the waterfront in Christiansted that, while not on a beach, are very convenient and right on the water. There’s a new Boardwalk that runs throughout Christiansted Harbor from the seaplane base at one end to the historic area run by the U.S. National Park Service at the other. There are three hotels on the Boardwalk that are all within 100 yards of our dive shop and the dive boat. Located right on the Christiansted Boardwalk the Caravelle Hotel and Casino is right in the middle of Christiansted's shopping, dining, and entertainment area. The hotel recently underwent a complete refurbishment that included adding a brand new casino. 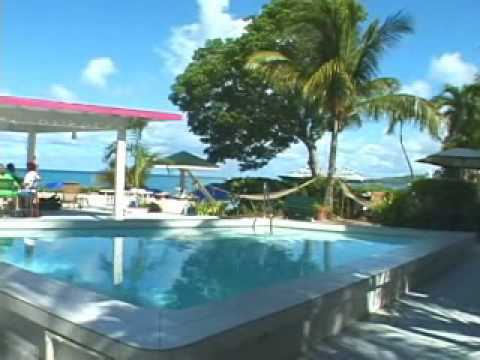 The hotel's fresh water pool overlooks scenic Christiansted Harbor and the beautiful Caribbean Sea. 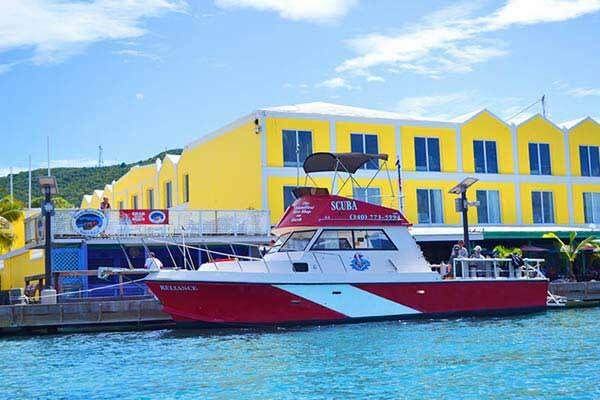 Rum Runners restaurant is located right on the hotel's waterfront and there are several great restaurants nearby. Our northshore dive shop is located AT the hotel and the dive boat departs from directly in front of the hotel. Check out the Caravelle Hotel's website here! A historic hotel that has been lovingly restored and furnished with West Indian antiques and replicas. The uniquely clean and spacious rooms provide all modern amenities to guests including free internet access. One of St Croix's top restaurants, 40 Strand Street Eatery (run by one of our former Instructors) is in the hotel along with R.A.W. a fresh seafood and bar. The hotel is about a block from the water in Christiansted so it's very convenient to restaurants, bars, shopping, and of course the dive boat. Our northshore dive shop is 200 yards from the hotel. Check out Club Comanche's Website Here! Situated right on the Christiansted Boardwalk, overlooking the harbor the Holger Danske's name is Danish and loosely translated means "Island Dane". The hotel’s fresh water swimming pool overlooks the beautiful Caribbean ocean. Angry Nate’s restaurant is one of our favorites and it’s located right at the hotel. This hotel is typically the most economical. Our northshore dive shop is 100 yards from the hotel. Check out Holger Danske's website here! Located right on the waterfront in Frederiksted means this hotel has amazing sunset views. Though there's not an on-site restaurant there are several very close by. It's an easy walk to the Pier which is one of the top dive sites on the planet, especially at night. Our westshore dive boat is 3 blocks from the hotel. Check out The Inn on Strand Street's website here! Caribbean Travel & Life recently named The Buccaneer as one of the “Top Ten Classic Caribbean Hotels.” Each room features a private patio or balcony for maximum enjoyment of the spectacular views and cooling breezes. Conveniences include air conditioners, small refrigerators, safes, hairdryers, telephones, satellite television, irons and ironing boards, coffee makers, shower/bath tubs, double sinks and ceiling fans. Some rooms have soothing whirlpool tubs. There are also very luxurious villas available. The resort has an 18 hole golf course, tennis courts, two swimming pools, three beaches, and a spa. Our northshore dive shop is 10 minutes from The Buccaneer via rental car or taxi van. This small beachfront hotel is located on the western end of the island. 26 uniquely different cottages spread across almost 2 acres of beachfront property, The Caribbean living of simple cottages, dazzling sunsets, uncomplicated demands, rejuvenating breezes, and friendly people will provide you with a new place to escape to. Our westshore dive shop is less than a mile from the hotel. Check out Cottages by the Sea's website. The newest hotel on St. Croix (and first new hotel in decades). A beautiful boutique hotel that's not only on the waterfront in Frederiksted but on its own beach too. In fact it's the ONLY hotel that is both on a beach and also in town. Swimming and snorkeling are available right off the beach and the Frederiksted Pier, a world class dive site, is just a few steps away. The pool and restaurant are currently under construction but should be up and running soon and will add even more to this beautiful new hotel. Our westshore dive shop is just 4 blocks from the hotel. Check out The Fred's website! 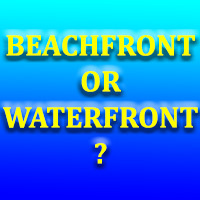 This is the nearest beach hotel to our main location. It’s located on its own island in Christiansted Harbor. They have a ferry that goes to the Boardwalk in less than a minute. Once on the Boardwalk it’s easy walking distance to not only the dive shop but also restaurants, bars, shops, etc. Our northshore dive shop is a 2 minute ferry ride + 2 minute walk from the hotel. This is a small but quite nice hotel on the west end of the island. Our second dive boat is based just five minutes away at the famous Frederiksted Pier. They have two swimming pools, a gorgeous white sand beach and great snorkeling just off shore. The Wine Spectator Award winning restaurant, Beachside Cafe, is located at the hotel. If you've been doing some researching on your own and are interested in a hotel that is NOT listed here just shoot us an email and we'll tell you how close it is to either of our dive shops.